UFO SIGHTINGS DAILY: UFOs Surround Colima Volcano Before Eruption, Jan 2017, Video, UFO Sighting News. 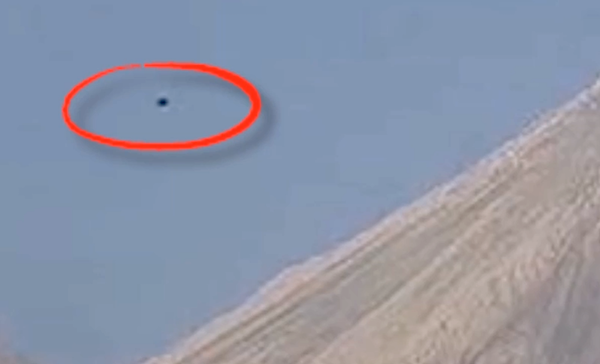 UFOs Surround Colima Volcano Before Eruption, Jan 2017, Video, UFO Sighting News. These UFOs were over Colima Volcano around the same time that the volcano erupted on live cam. Colima has been the site of thousands of UFO sightings, and most of those are still stored on Youtube today. Sometimes when its a larger UFO, the camera will actually go white screen, probably a deliberate method of aliens to stop themselves from being seen entering the volcano mouth. Best view this in 1080p as they are very far away. White ufos first then one dark ufo. Then 20 seconds later Colima Volcano Erupts. Streetcap1.